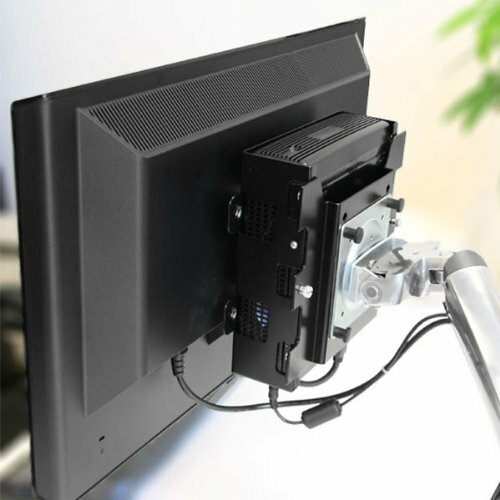 This multi-function bracket allows you to attach an M350 system to a monitor (VESA) and attach the system and monitor assembly securely to a flat surface (wall mounting). 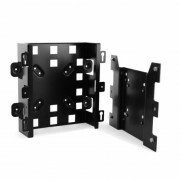 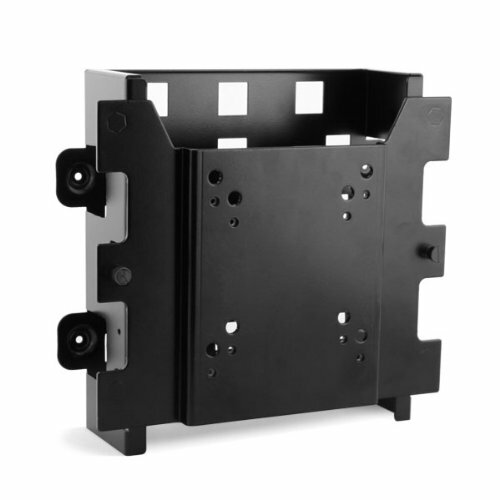 This bracket can be used as a simple VESA mounting bracket or wall mount bracket, and it can also be used as an all-in-one display bracket allowing you to mount both system and display to a wall. 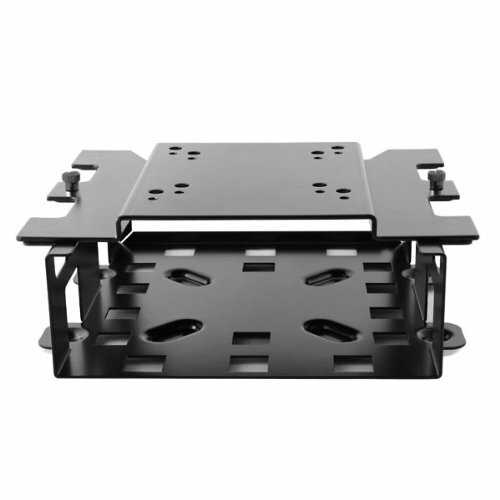 For added flexibility a removable, auxiliary VESA mounting plate allows for dual VESA mounting (for use with stands and monitor arms). The auxiliary VESA mounting plate locks to the main bracket allow for VESA mounting on both sides of the assembly. 2 screws are included to secure the M350 case within the display bracket. 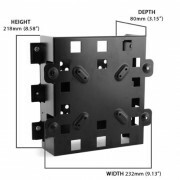 4 screws are included for attaching the bracket to a VESA monitor and 4 10mm standoffs are included for monitors with recessed VESA mounting holes. 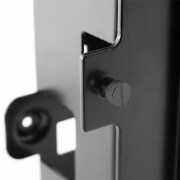 2 thumbscrews are included to attach the auxiliary VESA mounting plate to the main bracket. No case or monitor is included with this listing. 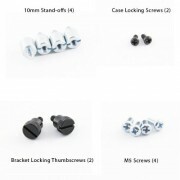 Please msg for volume and retailer pricing. 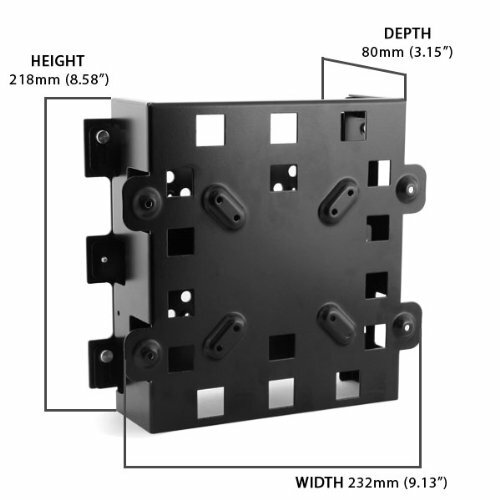 4 screws are included for attaching the bracket to a VESA monitor and 4 x 10mm standoffs are included for monitors with recessed VESA mounting holes. 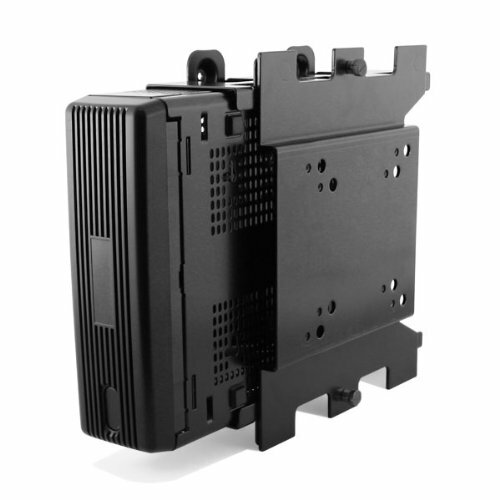 Ships free with any M350 case or system purchase. 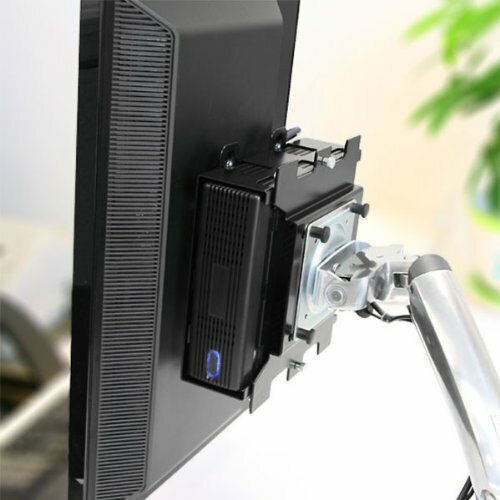 No case or monitor is included with this listing. 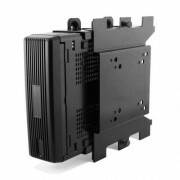 Please msg for volume and retailer pricing. 4x Screws for VESA mounting (M5 thread), 4x 10mm standoffs for VESA mounting (M5 thread), 2x M350 case locking screws (black), 2x Lock thumb-screws for auxiliary VESA plate (black), Wall-mounting screws and anchors are not included; please use appropriate hardware.